As a beginner, whether you’re planning on detailing old furniture, making a few awesome t-shirts, or going all in on a huge painting project, it is imperative that you have the right airbrush kit. (Just need a compressor? Great! Check out the best airbrush compressors on the market today). After years of experience under my belt, it’s time to introduce my own child to the wonderful world of airbrushing, but as with anything, if we don’t have the proper tools, we can’t be successful. The practice of airbrushing, like all things, takes time to perfect. It’s a delicate art form that requires tons of focus and even more practice, but the sense of accomplishment that comes with mastering a new skill is more than worth it. 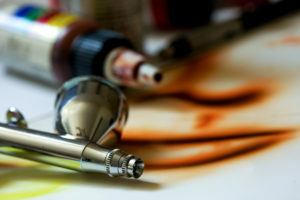 In honor of passing down the tradition in my own family, this list contains 4 awesome airbrush kits that all beginners should consider. Good luck and happy painting!